Measles was a real battle in the Philippines in 2014 with the final measles tally on the archipelago at 58,010 cases, according to the World Health Organization (WHO). This includes 110 people who lost their lives to this very contagious virus. This represented a nine-fold increase in cases in the Philippines compared to 2013, when the total cases were 6,497 and 26 deaths. The measles outbreak prompted Philippines health officials to institute a mass vaccination campaign last fall, Ligtas sa Tigdas, in an effort to get the outbreak under control. Some suspect that the Philippines may be the source of the Disneyland outbreak that started in California. 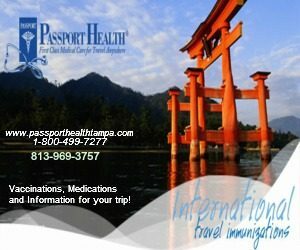 The source of the initial Disney theme park exposure has not been identified; however, specimens from 30 California patients were genotyped; all were measles genotype B3, which has caused a large outbreak recently in the Philippines, but has also been detected in at least 14 countries and at least six U.S. states in the last 6 months. 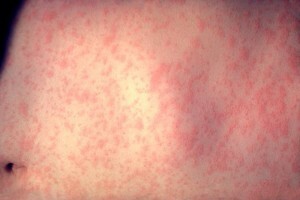 The Centers for Disease Control and Prevention (CDC) recommends that travelers to the Philippines protect themselves by making sure they are vaccinated against measles, particularly infants 6–11 months of age (1 dose of measles vaccine) and children 12 months of age or older (2 doses of measles vaccine). Clinicians should keep measles in mind when treating patients with fever and rash, especially if the patient has recently traveled internationally.